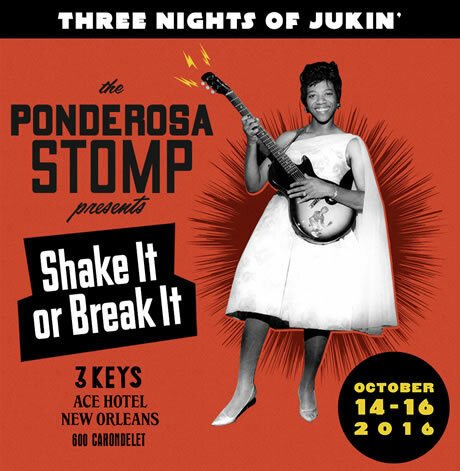 In partnership with Ace Hotel New Orleans, the Ponderosa Stomp Foundation invites discerning music fans everywhere to attend this fantastic precurser to the 2017 Ponderosa Stomp Festival featuring the best in blues, R&B, soul, and rock ‘n’ roll! Dates & initial lineup details for the 2017 Ponderosa Stomp Festival will be announced LIVE on social media from the Saturday, Oct. 15, show! 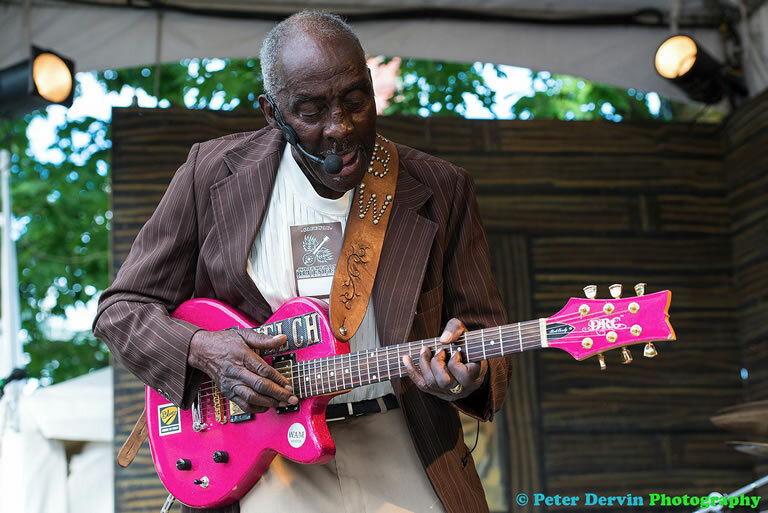 Doors open & DJ starts at 8 p.m.
After the show, Ponderosa Stomp DJs until 2 a.m.
“Shake It or Break It” kicks off Friday night inside Ace Hotel’s Three Keys featuring blues and gospel guitarist Leo “Bud” Welch. A lumberjack whose musical genius flew under the world’s radar for decades, Welch has released two CDs with Fat Possum-affiliated Big Legal Mess Records and has recorded with former Squirrel Nut Zippers guitarist Jimbo Mathus. 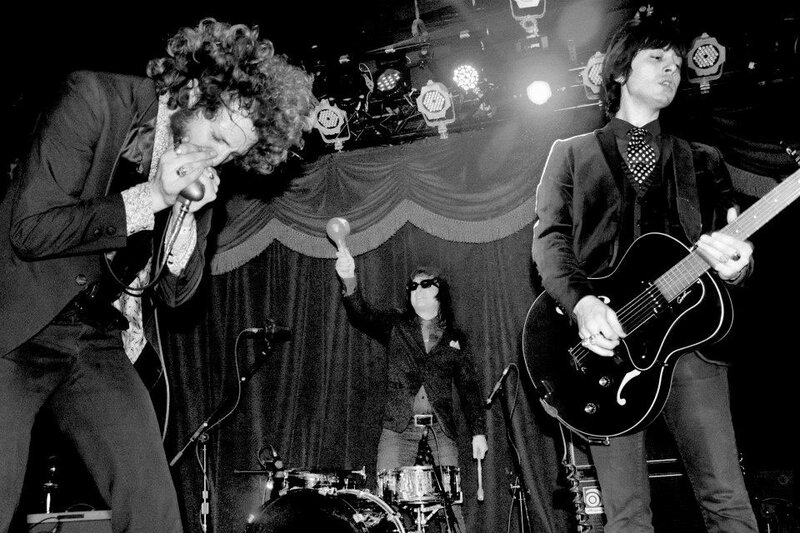 The opening band will be New Orleans’ own Fortifiers, led by former Tipitina’s and House of Blues talent booker Sonny Schneidau. Due to limited ticket availablity, we recommend buying tickets in advance. 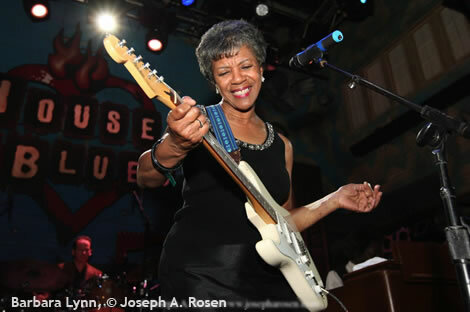 Saturday spotlights three of the Stomp’s most beloved acts: Texas R&B guitarist Barbara Lynn, “The Queen of Gulf Coast Soul” who has been covered by the Rolling Stones and is best known for her 1962 smash hit “You’ll Lose a Good Thing”; fellow legendary Lone Star vocalist and onstage wildman Roy Head of “Treat Her Right” (1965) fame; and Creole six-string wizard Paul “Lil’ Buck” Sinegal, a longtime sideman for Louisiana zydeco king Clifton Chenier. Saturday we will also officially kick off the countdown to the 2017 Ponderosa Stomp Festival! We’ll be announcing dates and some of the initial lineup for the 2017 Ponderosa Stomp Festival LIVE at the event and on social media! Doors open & DJ starts at 7 p.m.
After the show, Ponderosa Stomp DJs until 12 a.m.
On Sunday, Norton Records trio Daddy Long Legs — fresh off a recent tour with critically acclaimed Hurray for the Riff Raff — will close out the Stomp’s invasion of Three Keys at Ace Hotel New Orleans with their heart-stopping, harmonica-driven death blues. Also sharing the bill is Crescent City kingfish Guitar Lightnin’ Lee and his Thunder Band, a gut-bucket R&B favorite everywhere from European concert halls and rathskellers to Lower 9th Ward dive bars.